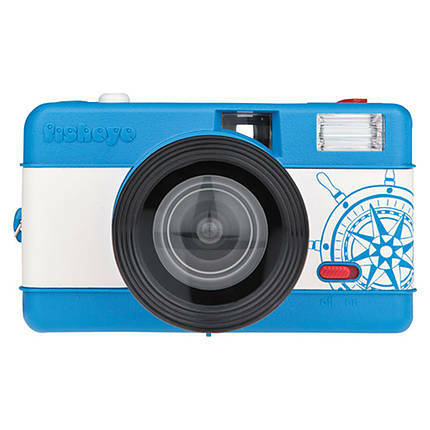 The Lomography Fisheye One Nautic is an easy-to-use camera that provides amateur photographers with a fusion of a simple design and an intuitive interface. It is equipped with a plastic fisheye lens that comes with a focal length of 10 mm and a fixed aperture of f/8 to produce a distorted circular picture on a rectangular frame. 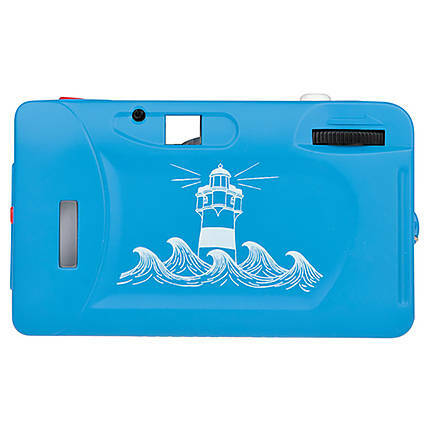 Use the built-in electronic flash for capturing amazing photos, even when the light is dim. The camera offers a 170° viewing field and a fast shutter speed of 1/100th of a second. 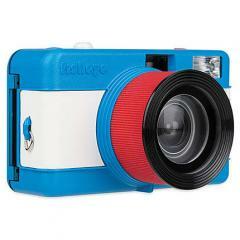 A single AA-type battery powers this camera. 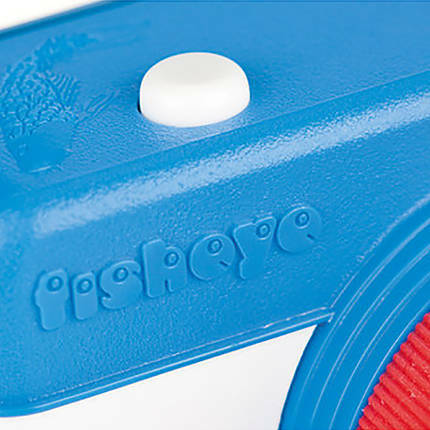 The Fisheye One camera from Lomography has a plastic fisheye lens that comes with a focal length of 10 mm and a fixed aperture of f/8 to produce a distorted circular picture on a rectangular frame. It also offers a 170° viewing field and a shutter speed of 1/100th of a second. 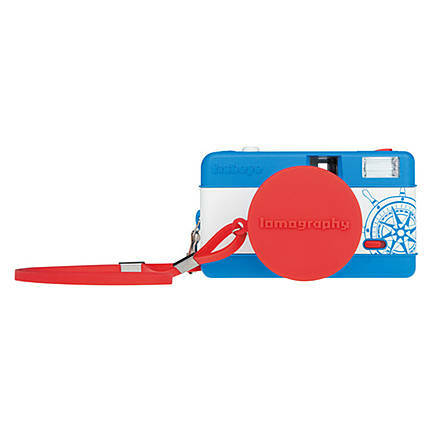 The Lomography Fisheye One’s inbuilt viewfinder offers an impressive clarity for viewing your subjects just before capturing them. The Fisheye One from Lomography has a 35 mm film roll that generates high-quality images. The Lomography Fisheye One camera’s built-in electronic flash comes in handy for capturing amazing photos even in dim lighting. The Nautic design includes motifs of a ship’s wheel on the front corner and a lighthouse on the back. This camera is powered by a single AA-type battery.